Ben Phillips had a government job, with a government salary. It was nothing to write home about. But it put food on table, sent his kids to school, and paid the mortgage. His wife Marion was an interior decorator, self-employed. She worked hard and often long hours. But, financially speaking, it was more of a side-hustle when compared to Ben’s salary. They used the extra cash on small luxuries — typically a meal at their favorite restaurant or gifts for the kids. An upscale furniture business saw her work and wanted her to be their onsite interior designer. And just like that, Ben and Marion’s household income doubled. They started spending like crazy people. They added another room onto their home. They bought a brand-new luxury car. They pulled up the grass in their backyard and replaced it with modern slab tiling. More importantly, they added tens of thousands of dollars onto their mortgage. Six months later, the 2008 housing crisis hit. And people stopped buying homes. And people stopped buying new furniture for their homes. And upscale furniture businesses had no need for expensive on-call interior decorators. Almost instantly, their finances were devastated. Just a few months of the high life had overturned a lifetime of good financial decisions. Fortunately, they were able to refinance their home so they didn’t lose it. But they still have years left on their mortgage, long after it should have been paid off. And Ben hasn’t been able to retire. I checked in with Ben recently. He says the last ten years have been tough. But they’re doing a lot better now. And that’s the theme of today’s issue of Money & Crisis. Bestselling financial author Robert Kiyosaki has seen this effect in full swing since Trump was elected. And he says it’s only going to come back to bite a lot of people in the rear end. That said, if you want your Bentley, Robert says there is a financially responsible strategy to get your way. Everyone loves to buy nice things. From infancy, before we can even talk, we’re wired to chase shiny things. We’re also wired to consume as much as we can. It’s the principle of scarcity that we’ve inherited from our hunter-gatherer days. You never know when you won’t have what you need, so you better consume as much as you can today. It seems that we never learn… and that we’re doomed to repeat our mistakes. Recently, there’s been a euphoria in the markets that defies fundamentals. The Dow Jones Industrial average is hovering above 26,000. It’s being dubbed the “Trump bump,” with stocks rising 31% after his first year in office. Apparently, the markets are feeling very good about President Trump’s policy agenda… and are banking on its being implemented. How great are they feeling? Dubbed the ‘wealth effect’ by economists, perceived gains in portfolio values can prompt ultra-high net worth buyers to splurge on hard assets such as fine art, real estate and luxury cars. Some in the auto industry also are seeing a ‘Trump bump’ based on expectations of fiscal stimulus and potential tax cuts under the new administration that will boost corporate profits and keep stocks on the ascent. This goes to prove that ultra-high net worth does not equal ultra-high financial intelligence. Buying luxury goods because the market is overheating is the very definition of counting your eggs before they hatch. In most cases, the folks who are buying these luxury goods aren’t doing so because they are actually wealthier. They are doing so because they look wealthier on paper. They have not sold their stocks. They simply hold stocks that, for now, have higher value. But one only has to look at the dotcom bubble burst of the early 2000’s and the real estate crash of the late 2000’s to realize that wealth on paper and true wealth are two different things. The story in the WSJ about luxury cars caught my attention because it reminded me of the time I wanted a Bentley (whose sales are up 10.8% since Trump was elected). A few years ago, I talked with my wife, Kim, about wanting to purchase a new Bentley. We both agreed that it would be easy for me to pay for the car in cash. We had the money. But having the money wasn’t the issue. As big believers in mindset — and delayed gratification — we both agreed there was a better way for me to get in the driver’s seat of this new dream. Both Kim and I sat down and determined what it would cost for the new car on a monthly basis — what our cash outflow would be. We then, together (and this was fun) went shopping. Not for a new Bentley, but instead for a new asset that would pay for the Bentley. Kim and I found a great asset, and after six months we had enough cash flow from the asset to pay for the monthly costs of my new car — and then some. 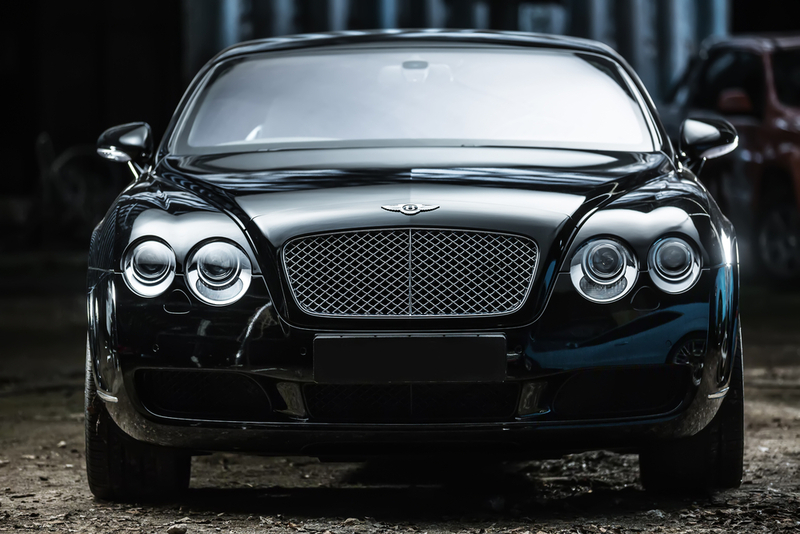 The best part of the whole exercise is, not only did I have my new Bentley but I also had a cash-flowing asset that actually increased my wealth, not just made me look richer on paper. This is a simple story, but an important one. There are two ways to view wealth. One is on paper. That is how most news outlets, and frankly, most CPAs view it. The traditional balance sheet is smoke and mirrors, accounting tricks to make you look wealthier than you are. The other way to view wealth is the Rich Dad way. It’s much simpler. It’s based on this one important truth. An asset is anything that puts money in your pocket. A liability is anything that takes money out. Given this definition of wealth, paper assets that grow in value while providing no cash flow are not assets. They are actually liabilities since you had to pay out of pocket for them. They only become assets when you sell them. But that isn’t advantageous because then you only have the cash on hand. And cash, like electricity, is a currency. It must move somewhere else to have value. Otherwise it dies. In the case of electricity, it dies quickly. In the case of cash, it dies slowly, eroded over time by inflation. The ultra-rich who are buying new Porches, Maserati’s, and Bentleys in this market bull run are those who are spending wealth they don’t truly have. I hope it works out for them. But if history is any indicator, it won’t. But, they have good attorneys to bail them out. What’s scarier is when the middle class starts following suit. They are the ones that always get wiped out. And when the middle class starts spending like the rich — running up consumer debt like 2008 levels — it’s time to watch out. The markets are ready to crash.